I'm playing along with Color Throwdown today. 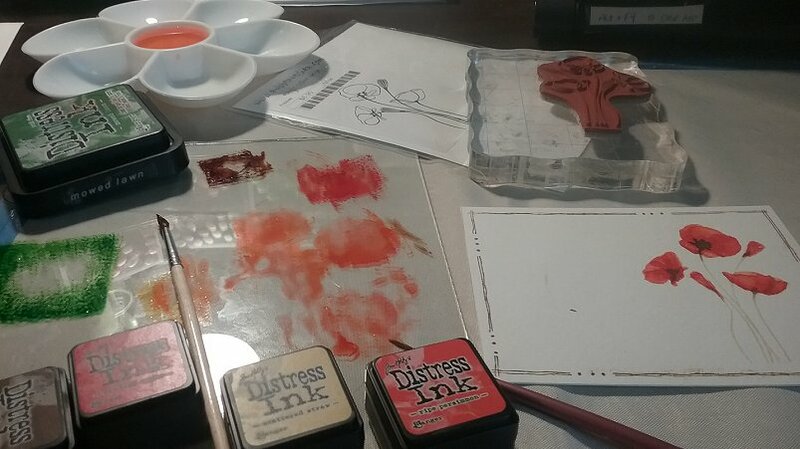 so that means I'm the Guest Stamper today! 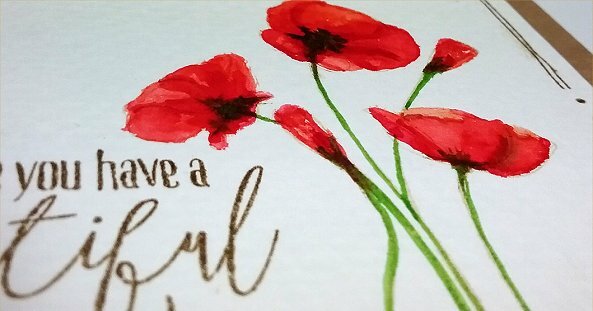 This inspiration picture was so stunning that I could not get Poppies out of my head!! I used the no line coloring technique ( stamp the image with a very light color ink). 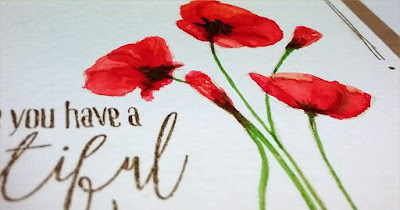 I used Hero Arts Shadow ink - soft sand. Then I used a fine brush and water and gave water coloring a shot. The doodle lines around the edges are a stamp from rubbernecker. 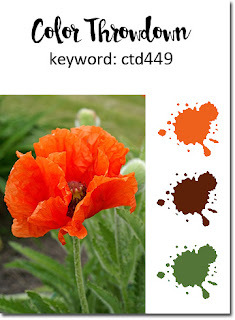 The pretty poppies are also a stamp by rubbernecker. 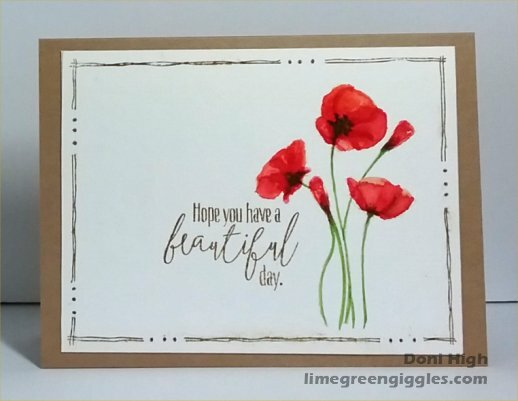 The sentiment is is from the Doodle Buds Stamp set by W plus 9. Hope you have fun playing with this week's colors!